News. We will be CLOSED for the Easter Weekend from 5pm Thursday 18th April. OPEN as normal from 9am Tuesday 23rd April. 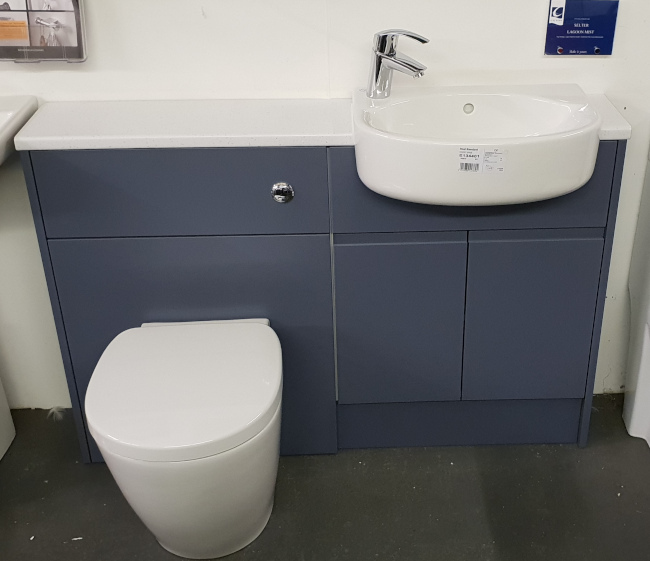 Calypso Selter fitted furniture with Ideal Concept Space sanitaryware and Grohe tap. Miller Modular wall hung bathroom furniture with lighted mirror cabinet. Copyright © Tiffany Kitchens and Bathrooms Limited all rights reserved.